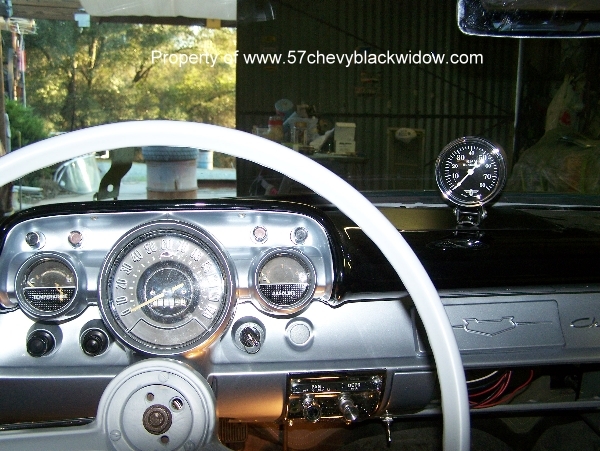 57 Chevy Black Widow - Dash Cont. 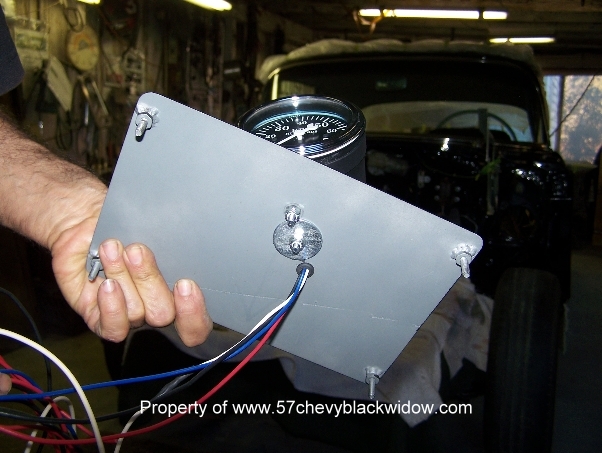 In photos #472 thru #475 you see the plate "Old Guy Scott" uses to mount the vintage correct tach. This plate bolts flush where the speaker opening is. 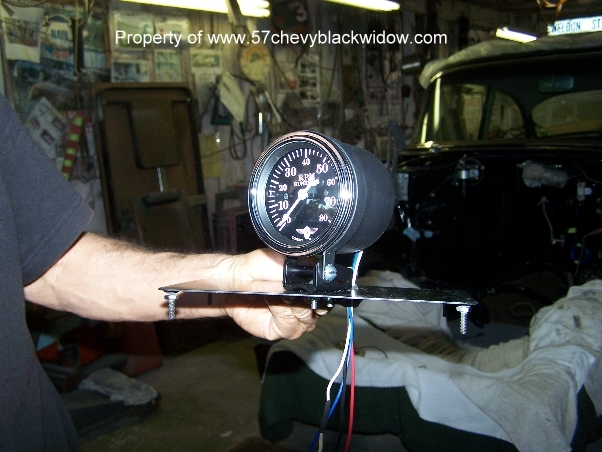 Mounting the tach here and in this manner is the ideal spot. 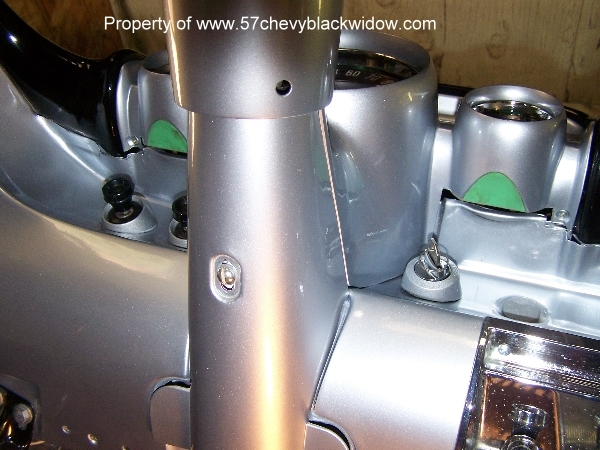 In photos #476 thru #478 you see the blind nut mounting plate "Old Guy Scott" made for the lower steering column cover. 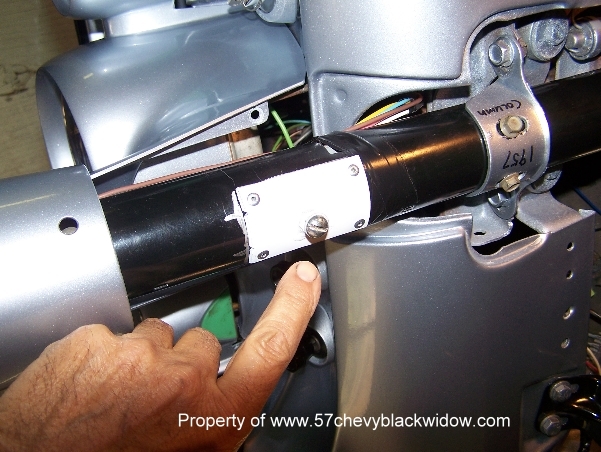 This makes the cover less likely to vibrate and shake loose. 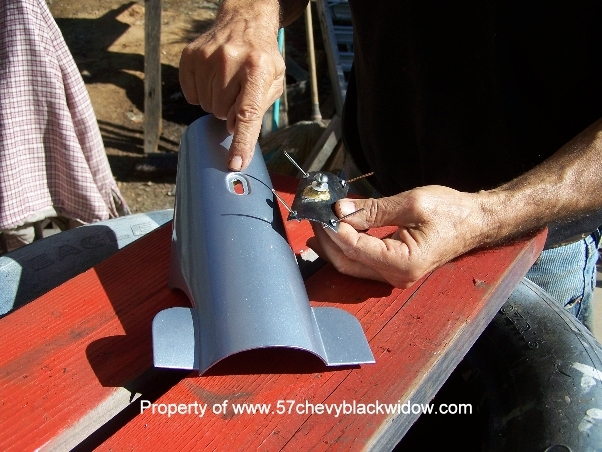 These "Black Widows" were meant for stock car racing and the better you assembled them the more reliable they would be. 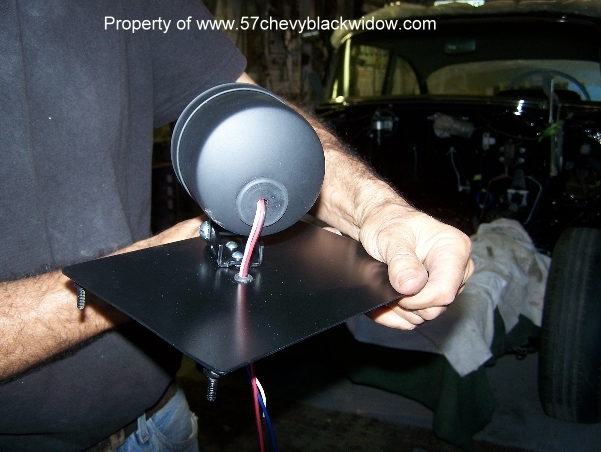 The first thing you do when setting up the "Black Widow" according to the "Guide" (page 10) is disassemble the car. Now you're ready to start building for competition.